Garden-style save the dates with a touch of Parisian flair will leave guests wanting more! The beautiful boho floral design appears against a background of ornate swirls and flourishes while your photo and wording are centered within the rose bouquets. 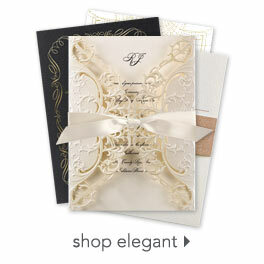 Personalization Options: Floral design is printed as shown. Your wording is printed in your choice of colors and fonts. Your choice of photo.